As part of the winning package of the Microsoft Imagine Cup 2016 competition, Winners were to meet Microsoft CEO Satya Nadella. Team ENTy had this opportunity and here’s their chat with the chief. 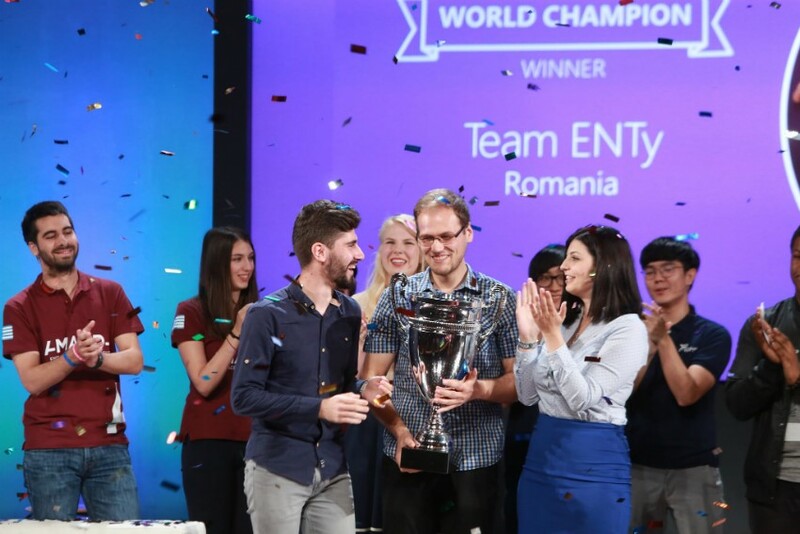 Team ENTy from Romania were crowned champions ? of the Microsoft 2016 Imagine Cup competition finals. Four teams from Africa made it to the finals with team Night’s Watch, from Tunisia coming in 2nd in the World Citizenship category, winning $10,000. The 2016 Imagine Cup winners, winning $ 50,000 cash prize also got to receive a private mentoring session with CEO Satya Nadella. Q: Team ENTy: what would he do if he were a co-founder of ENTy? A: Satya Nadella . I’ll make the hardware smaller, get the patents and the certifications for the product, and find good investors. Since being crowned the Imagine Cup Champions in July, ENTy has been hard at work perfecting its product, with an intense focus on making it smaller and getting it into the hands of the health care professionals who will be its primary customers. Team ENTy has this advice for students who wish to give the competition a go. This year’s, 2017 Imagine Cup finals will be the 15th anniversary and has a cash price package of $ 100,000. To participate in the competition, check with your institution for a Microsoft Students Partners group. The events will be hosted by the local Microsoft subsidiaries in eligible countries. There’ll be national finals and then all the finalist head out to Seattle for the big event where they’ll present their ideas.